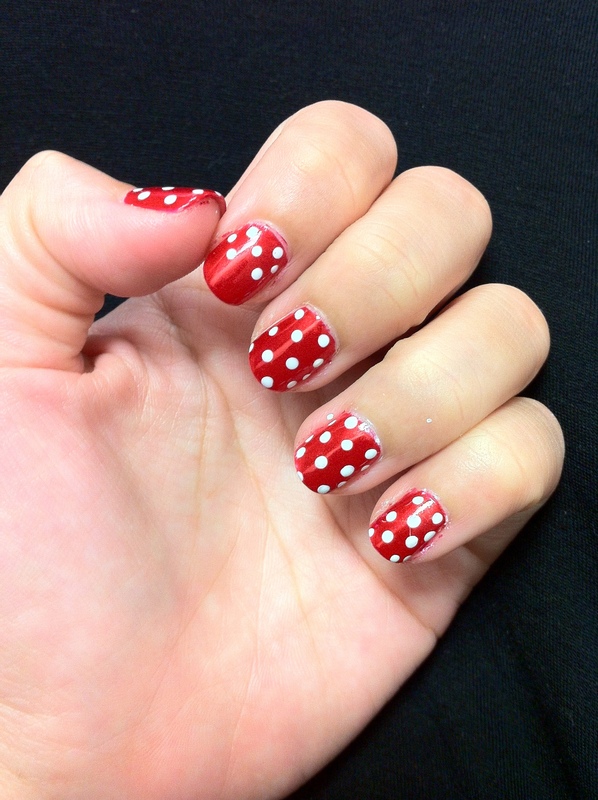 This was actually the manicure that I wore for Lunar New Year. I took the photos but never found the time to edit and post them. I was really busy visiting and munching on snacks the whole time! 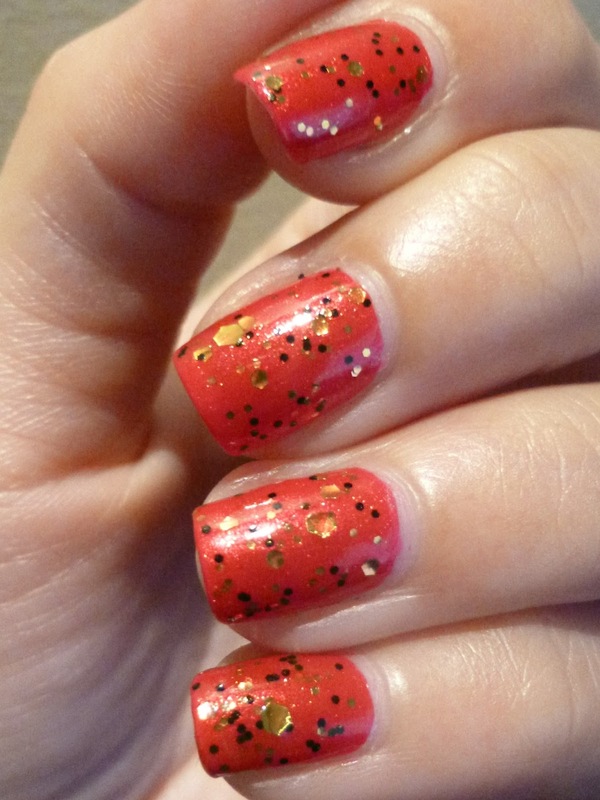 I started off my manicure with 2 coats of Etude House LUCIDarling Shimmering #5, a bright red with shimmer in it, and topped it off with Hong Bao by Sonnetarium. Hong Bao 紅包 stands for the red packets which unmarried people a.k.a me get during the Lunar New Year. 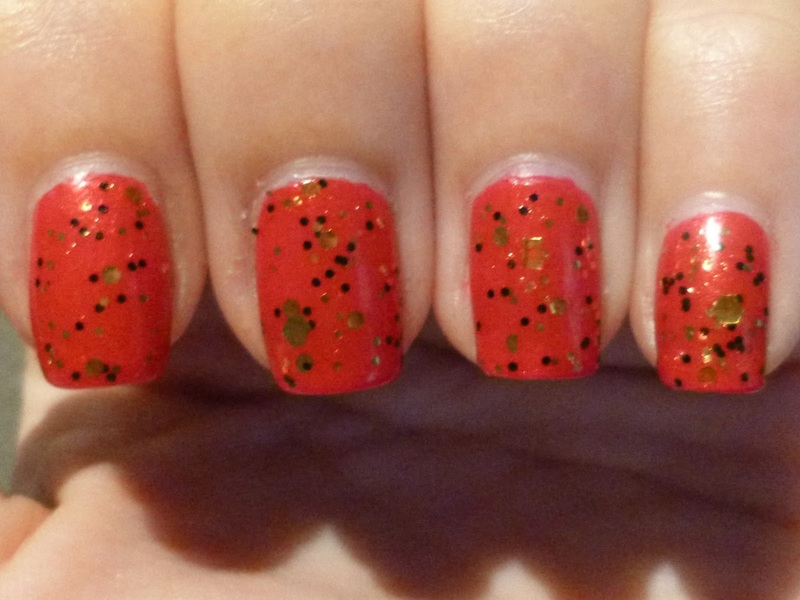 Hong Bao 紅包 is a orangey red jelly polish packed with gold and black hexes and a dash of gold shimmer in it. It definitely changed up the base color a good bit. For the better that is! 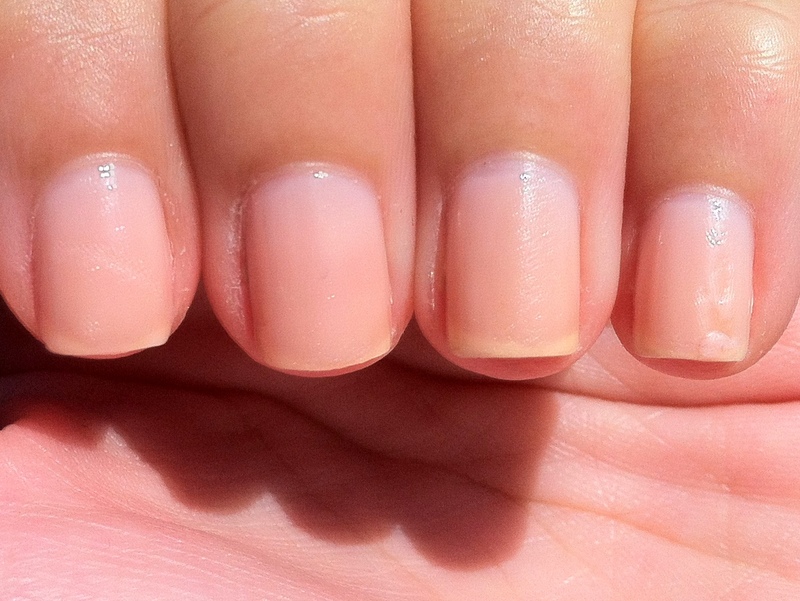 Though this manicure is super simple, I did get quite a few compliments on it! So..Yay! I am still sick but I definitely have to get this post out! I’ve been catching up on all the blog posts I missed out from when I was out sick the past few days and noticed that there were a lot of purple manicures on other blogs. After a little snooping I finally found out what it was all about. Most of us are thankfully residents of countries that support tolerance and many of our families have settled in these places simply for that reason. Generations later, it is our responsibility to perpetuate that message of tolerance across our new social platforms, including the internet. As members of the nail polish community, we all share a love of beauty, color, and lacquer. Other than that, we are remarkably different: from our race to our religion to our hair color and even to our polish application techniques. To look down on anyone because of those differences is completely unacceptable and today I take a stand against that. I refuse to allow other people’s view of “normal” dictate how I behave, believe, and blog. 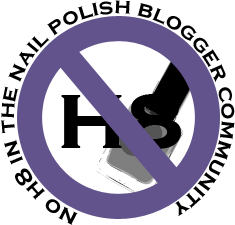 In solidarity with a multitude of bloggers linked below, my purple manicure represents my proud commitment to the No H8 movement. Aside for this No H8 campaign, purple (or rather the purple ribbon) is the color for Pancreatic Cancer Awareness. I personally have lost a very dear person to pancreatic cancer just last year. On Halloween Day last year in fact. The passing of this dear friend and mentor really had quite a big impact on me. On to some quick facts about pancreatic cancer. Pancreatic cancer is one of the fastest killing cancers around. By the time you are diagnosed, it is usually too late. And the survival rate from pancreatic cancer – very very low. 3% only according to THIS website. I am not going to plunge into an essay writing mode and bombard you with any more words that might bore you are depress you. So with that I dedicate my purple mani to both of this causes! Do enjoy! I first started off my manicure with Look at Her, the light lavender/lilac polish which I recently bought from Etude house. This polish went on surprisingly good! It covered nicely in two careful coats. I then pulled out Halloween Day (the purple glitter) and added a reverse gradient to my nails! I started off using a sponge but it did not come out as I imagined. It was really messy too!! I eventually just used the brush and dabbed the glitter on my nails. The photo above is post cleanup and glitter was still all over the place! One thing I noticed after adding the glitter gradient is that the polish leans very much to a light blue instead of lilac! I went ahead and took many photos of this mani under different lights to showcase this polish as close as I could. I wanted to have some with natural lighting but unfortunately it was pouring the whole day yesterday! The photos above are probably the best of the 20 odd photos taken in my room. The place that photographed closest to the actual nail polish – my office! I only managed one good shot and one slightly blurry one though. I did not want to keep snapping photos of my hands in the office. This photo though blurry actually shows off the glitter the best. You can actually see the purple shine through all that blue. Before you leave, let me show you a photo I posted on instagram last night! This was my #ootd yesterday. I knew I was going to do this this month for the Pancreatic Cancer Awareness Campaign. I incorporate as many purple pieces as I could into my outfit with out looking like an eggplant! Yep, I still have my long hair. I am still torn whether to cut it off and keep it till someone comes along asking for ‘hair donations’ or to just keep it long. I picked up some polishes late last month from the Korean cosmetic brand – Etude House. It was a random thing as I really wasn’t planning to get any polishes. Of course I got this polishes, prior to me deciding to go on a No-Buy. There were many polishes which are new to me as I have not been to Etude House for quite some time. I picked only 3 this time. Look at Her (#CPP501) from Etudes House’s Look at My Nails series is the sweetest lilac cream. I had a small bottle of lilac polish but it seems due to the size (mini bottle) and the fact that there are no steel balls in it and also because I don’t use it often, it has dried up. So Look at Her is it’s replacement! Both Halloween Day and Pajama Party on the other hand is from the Dear My Party series. Halloween Day (#PPP502) is a glitter bomb filled with small square purple and lilac glitters as well as some larger pink hex glitters. Pajama Party (#PBL601) on the other hand has a pastel blue creamy base with a whole lot of glitter in it! So far I have seen green, blue, red, pink, gold and silver glitter in it! 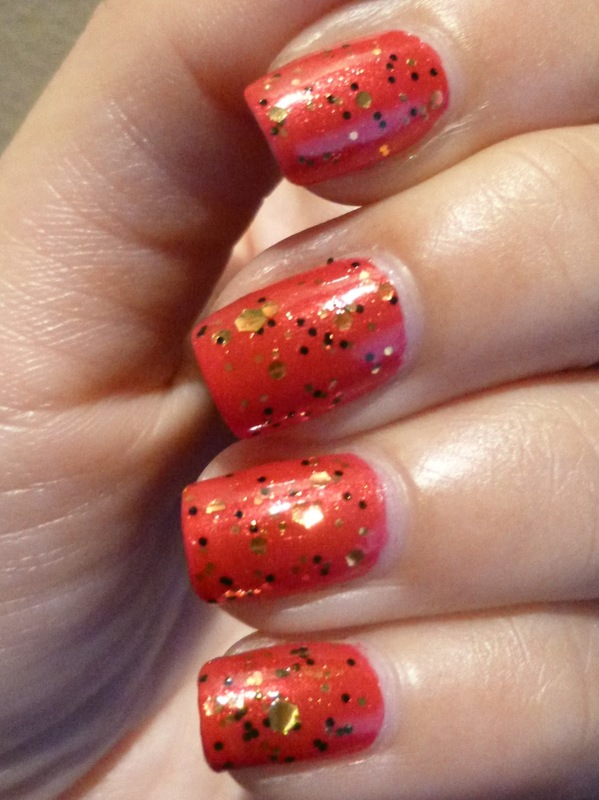 At first sight this polish reminded me of Revlon’s Whimsical, with much more party in it of course! I picked up more polishes during my lunch break today 😀 5 glitter polishes from Etude House. Unfortunately the label is in Korean so I can only identify them by the number code on the label. 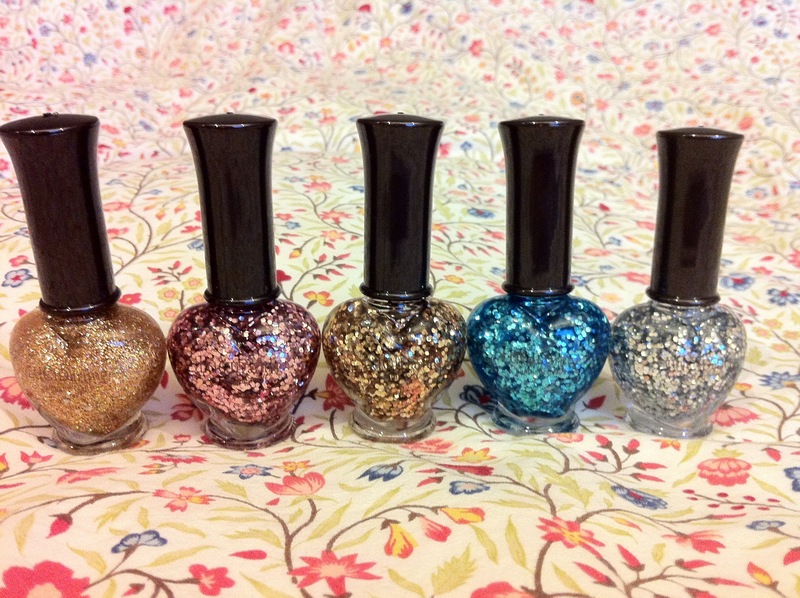 #04 is the only one of the 5 filled with small gold glitter and bigger sized holographic glitter. The others are medium sized hex glitter suspended in a clear base. I picked out a pink, gold, turquoise and silver one from the display. I think I missed out on a purple glitter. Maybe I should drop by again next week.. I am wondering if I should swatch them seperately or just go on and use them in my manis. What do you think? 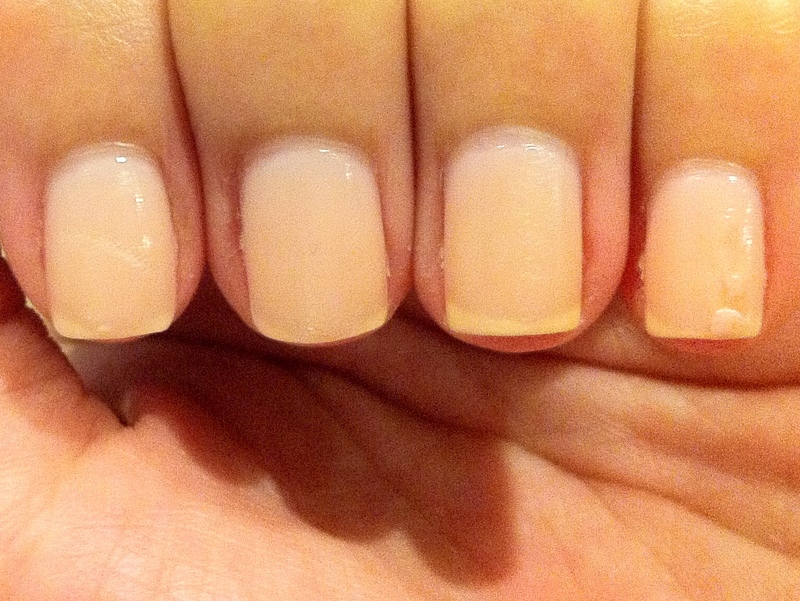 I got bored and decided that I need a change of color from the usual pastels and nudes ♥ that I use on my digits. So here goes nothing – RED polish for me this week! with white polka dots of course! 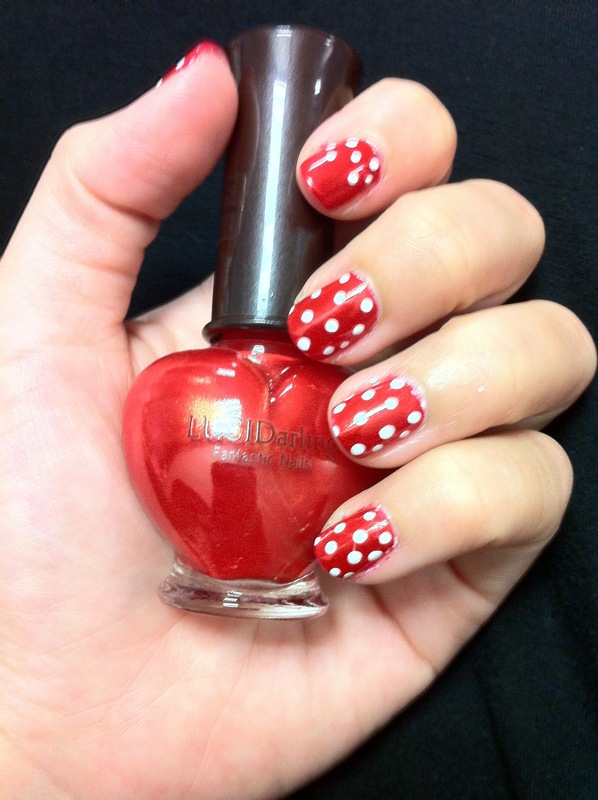 I used this really pretty red with fine shimmer from Etude House and OPI Alpine Snow for the dots.